Christmas time is here and that means it's time for the annual Bumming with Bobcat "A Very Bum Wine Christmas" special podcast! 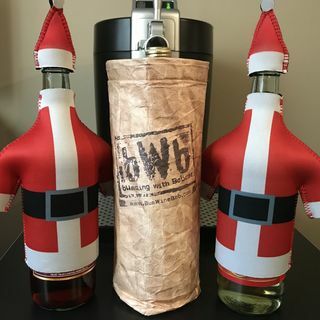 Gather the family around the Christmas tree and unwrap this special bWb Christmas gift! This year we are happy to welcome AP from the Smugcast to join in the holiday festivities! Since Juice doesn't know how to use a calendar app on his phone, it's just Bum Wine Bob and AP bringing you the best of the worst in holiday drinking stories! Ever ... See More get so drunk that you pissed in a laundry basket or on top of a table? What drinks are guaranteed to make your holidays merry and bright? Grab a case of Natty Light, Schlitz High Gravity, Night Train Express, Thunderbird, or Mickey's Fine Malt Liquor and enjoy this holiday extravaganza!